We all want to live well, but how can we put that desire into action? 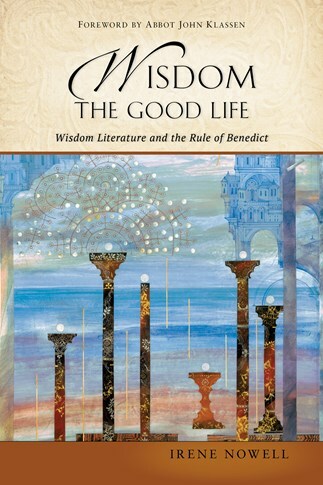 With thoughtful reflection on the biblical wisdom writers and the Rule of Benedict, Irene Nowell shows us how we too can live the good life. Each chapter includes reflection questions and meditative prayers, guiding us on a renewed journey toward wisdom and encouraging us to embody this wisdom more in our daily lives. Irene Nowell, OSB, is a Benedictine of Mount St. Scholastica in Atchison, Kansas, where she has lived for almost sixty years. An accomplished theologian and biblical scholar, Nowell is a past president of the Catholic Biblical Association and the author of Numbers (of the New Collegeville Bible Commentary); Sing a New Song: The Psalms in the Sunday Lectionary; Women in the Old Testament; and Pleading, Cursing, Praising; all published by Liturgical Press. She is also a member of the editorial board of Give Us This Day (Liturgical Press). "The topic of wisdom is uniquely suited to Irene Nowell. She has lived for years under St. Benedict's Rule, which is a kind of Wisdom literature, as it insists that the holy is to be found in our everyday experiences and everyday encounters with other people. Nowell is also a Hebrew scholar and brings a treasure house of biblical knowledge to bear on the subject of what it means to be wise and to seek the wisdom that allows us to live a richer, more holy, and more loving life." "Sister Irene here presents us with an introduction to Wisdom Literature in Wisdom: The Good Life. She skillfully weaves together themes from those texts that have so profoundly penetrated her life, the Sacred Scriptures and the Rule of St. Benedict, with the liturgy subtly threading through the entire work. A master teacher, she draws instruction from these works that can guide us through the ordinary but significant issues of daily life, helping us to find joy in the present moment and guiding us along the path to wisdom. Nowell has crafted a work that can both delight the general reader and open more profound insights for those who wish to ponder further." "This book is highly recommended for parish libraries and other libraries that have a concern with spirituality and Christian living. Based on the format of the book, this book is most appropriate for a book club or a small group setting." "Nowell's training and skill in Biblical scholarship are fully evident here. At the same time, it is a scholarship deeply contemplative in character." "A series of well-informed and rich meditations that connect the wisdom of the ages to the human experience today." "A little gem. It offers a rare thing in today's plethora of popular religious literature - a spirituality that is solidly-based, comprehensive, humane and practical. While it will appeal most particularly to Benedictine religious and lay-people, it is eminently suitable for Christians of all denominations interested in sane, intelligent religion." "Irene Nowell has drawn deep from the well of wisdom, sourced in Scripture and the Rule of Saint Benedict. She offers a set of simple yet profound reflections, points to consider, and prayers perfect for times and seasons of spiritual renewal and retreat."